A Congressman of President Ivan Duque‘s far-right party has been accused of working with a paramilitary death squad in the northeast of the country. Public television network Canal Uno released a formal prosecution request to investigate House Representative Jose Vicente Carreño of the far-right Democratic Center party for his alleged ties to the “Vencedores de Arauca,” a paramilitary group that demobilized 15 years ago. Carreño denied the charges and said there is no active criminal investigation against him. Former paramilitary commander “Chapulin” told the court that Carreño helped coordinate a paramilitary incursion of the town of Tame when he was still working for the National Police. In a letter to House president Alejandro Carlos Chacon, the Inspector General’s Office warned that the claim had confirmed by locals from Arauca. Canal 1 also found out that the lawmaker’s brother was a member of the group that terrorized Arauca between 2000 and 2004. Carreño entered the House of Representatives two weeks ago to replace former representative Luis Emilio Tovar, who was dismissed in November for violating electoral law. The house representative may be the latest to be linked to death squads, but he is by far not the first. More than 60 former congressmen and at least seven former governors have already been sentenced to prison for “parapolitics” since the far-reaching ties between politicians and death squads became evident in 2006. 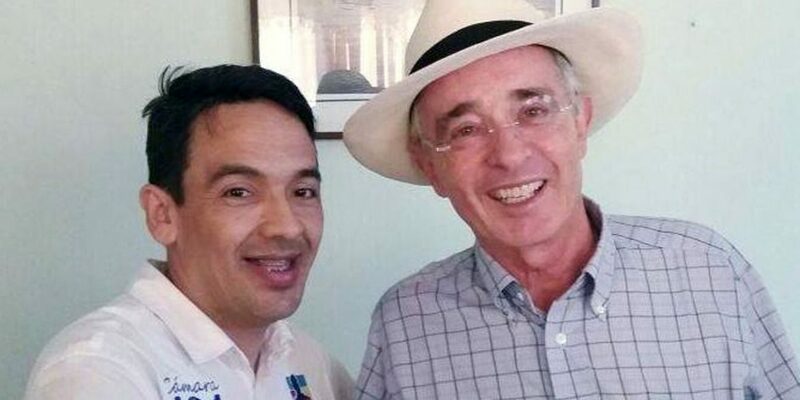 Former President and Democratic Center boss Alvaro Uribe is currently being investigated for allegedly tampering witnesses who have testified that the powerful politician was one of the founders of the “Bloque Metro” paramilitary group in his home province Antioquia. The Vencedores de Arauca Bloc was responsible for at least 860 homicides, 200 forced disappearances and 418 cases of forced displacement.